Since 2008, the Department of Anthropology at Rice University has been collaborating with the Rutherford B. H. Yates Museum and the Communi ty Archaeology Research Institute, Inc. to conduct archaeological research in Houston's Fourth Ward, also known as Freedman's Town. Rice University's archaeological research in Freedman's Town is centered on the historic properties owned by the Rutherford B. Yates Trust. 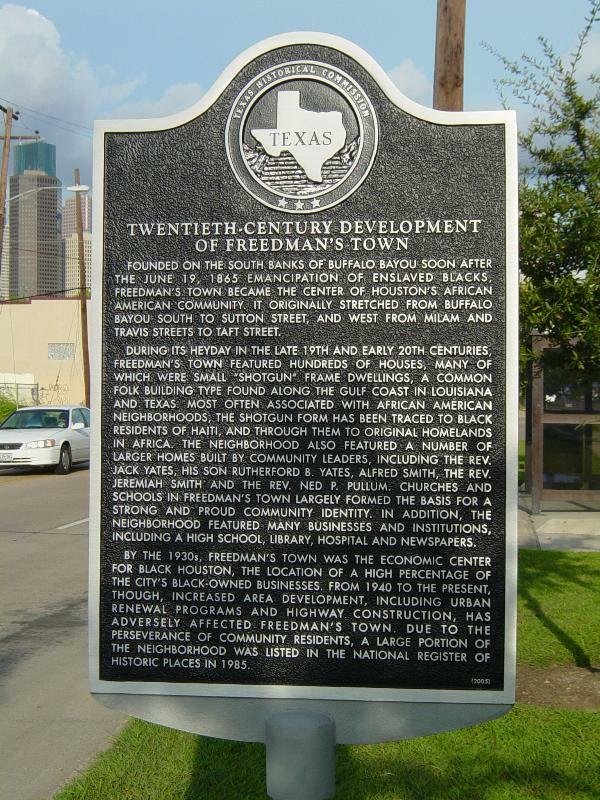 These properties include some of the lots and standing houses that housed the early inhabitants of Freedman's Town, formerly enslaved people who began to purchase property south of Buffalo Bayou and just west of present-day downtown Houston in 1866, just a year after emancipation. Among the newcomers was John (Jack) Yates, the father of Rutherford and an important community organizer. The R.H. Yates house still stands and has been restored by the Trust. The Jack Yates house once stood on the adjacent lot. With the permission and collaboration of the Trust Board members and the Yates Community Archaeology Project, Rice students excavate every spring semester on one of the properties as part of the Archaeology Field Techniques class. Our goal is to help illuminate an understudied and under-acknowledged part of Houston's early history through recovery of the artifacts and other materials associated with the homes of these Freedman's Town inhabitants. Freedman's Town, Houston, Texas from Jeffrey Fleisher on Vimeo. More information on the history of Freedman's Town and the Yates Community Archaeology Project is available here. This collaboration is made possible with support from the Center for Civic Leadership and the School of Social Sciences, Rice University.